Modern fuel injection systems have dramatically increased engine and overall vehicle performance. When a fuel injection system operates efficiently, it delivers the exact amount of fuel your engine requires, keeping it running smoothly. 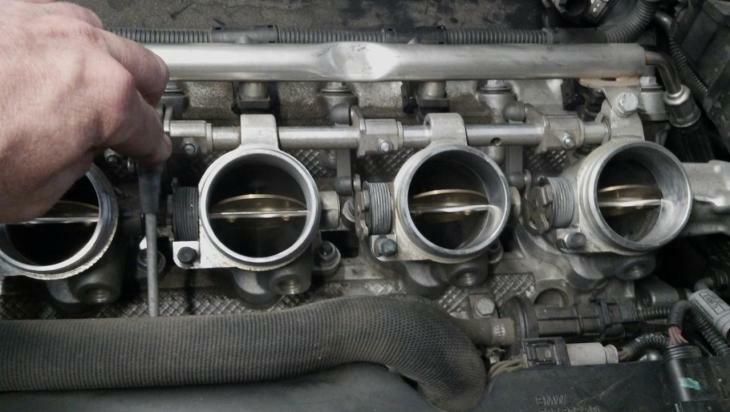 Unfortunately, when your fuel injection system experiences an issue, the results can be dramatic and obvious. Inconsistent engine power: A fully functional fuel injection system will keep your engine running at peak power. When issues arise, however, the consistency of your engine’s power will suffer, leading to obvious highs and lows while running. Engine misfiring: The technology behind fuel injection systems has been designed to keep your engine firing in perfect timing. When an issue with the fuel injection system occurs, your engine may misfire upon starting or during operation. Uneven idling: While your engine is running without being engaged, it should idle evenly. Fuel injection system issues cause uneven idling that can lead to excess fuel consumption and overheating issues. Reduced gas mileage: One of the most common symptoms of a fuel injection issue is a reduction in gas mileage. Many car owners believe a loss in mileage over time is normal, however the cause may be as simple as a clogged or stuck fuel injector. Gasoline smell: An issue with the fuel injection system may cause an abnormally strong smell of gasoline in and around your vehicle. Addressing the issue should reduce the fuel smell significantly. Whatever symptom you may be experiencing with your vehicle fuel injection system, we diagnose and repair the issue quickly, effectively and at a fair price. Issues with your fuel injection system may be slowly costing you hundreds of dollars in wasted gasoline. Repairing these issues will allow your fuel injection system to function at peak levels, ensuring that your engine gets the exact amount of gasoline it needs. For assistance addressing a fuel injection system issue, call us at 727-498-8521 or contact us online. We are conveniently located in Clearwater, just south of Ulmerton Road, at 12790 49th Street North. Hours are 8 a.m. to 6 p.m., Monday through Friday and 9 a.m. to 2 p.m. on Saturday. We look forward to seeing you!